In this module I will be exploring digital media and the applications available to me to expand my creativity with my photography. I will be looking at and researching artworks, photographs, digital apps and augmented reality apps. The research will inform me and help me develop a better understanding of digital environments and understand its context for creative photographic imagery. The assignment attached to this module gives me two options. This should be focused on marketing The Batley School Of Arts. I need to investigate, explore and innovate a creative promotion for the art school. I need to explore the potential for the use of images (in the broadest sense) to help improve the live of others. I have chosen to research and explore Option A for my assignment. The difference between augmented reality and virtual reality is the level of immersion. Virtual reality is based upon a complete simulation of a real world environment which the user can explore and interact with by means of a head mounted display (HMD) and input device, e.g. data glove. The user loses or immerses themselves in this environment. But with augmented reality the user sees the real world but with the addition of computer generated images which are overlaid on various objects within the real world. They are still aware that they are in the real world as compared to the full immersion in a virtual world. They use a device such as a smartphone or a wearable device – complete with a webcam – which contains software that recognises an image and helps displays this onto an object. Virtual reality replaces the real with the artificial whereas augmented reality enhances real life with artificial images. 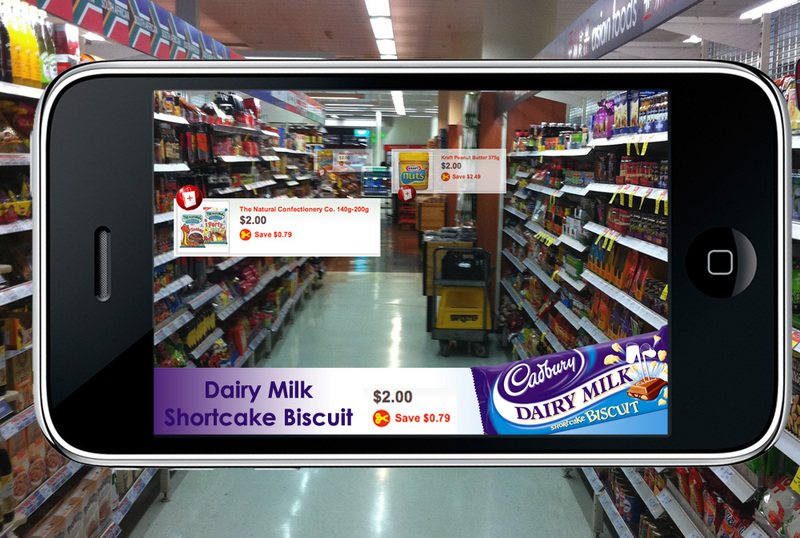 Augmented reality is available via mobile phones in particular smartphones such as the iPhone. These phones have GPRS which obtains information about a particular geographical location which can be overlaid with tags etc. Images, videos etc can be superimposed onto this location. An important issue is that of successfully integrating computer generated images within the real world. They need to be realistic and useful to be of real benefit to the user. Virtual reality and augmented reality use much of the same technology to provide enriched experiences for users. Augmented systems add something to the existing environment to enhance the real world, while virtual systems actually create an entirely new reality. Both have a wide range of applications, from advertising to psychotherapy, and a number of companies have investments in one or both technologies. They are also subjects of research at academic institutions and private organizations. In the case of virtual reality, the key characteristic is that with the use of a computer system, the user enters an entirely immersive world. Everything around the user is fabricated by the system. This may display inside a blank room, headset, or other device that allows the user to feel present in the virtual environment. Some virtual reality also offers features like feedback in the form of sound or touch to allow the user to interact with objects and spaces. This simulates real-world experiences in an entirely built environment. There can be a blend between virtual reality and augmented reality. Features like haptic feedback in a virtual video game could be considered augmentations, rather than strict virtual reality. Conversely, people may work in a real-world environment with a simulated construct that closely approaches those seen in virtual reality. Passengers at an air terminal, for instance, might talk to a holographic representation of an airline employee. The applications for virtual reality and augmented reality are considerable. Both are of interest to the entertainment industry, which constantly seeks new ways to appeal to consumers. Immersive, rich environments provide opportunities for gaming, interactive websites, and other forms of entertainment. In the sciences, such tools can be used for activities like remote surgery, treating patients with post traumatic stress disorder, and simulating natural disasters and other events. Training tools with a virtual reality element can offer a chance for people to experience things that are rare or dangerous in real life to get experience they may find useful in their work.